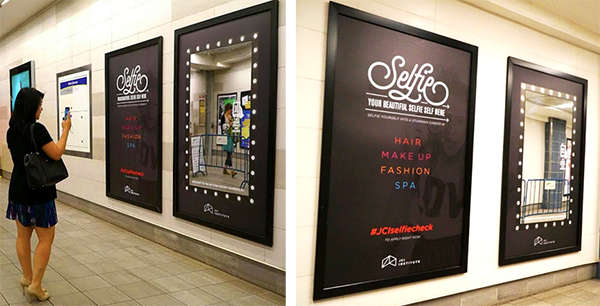 Baton Rouge, LA – May 27, 2015 – Thousands of Canada Line commuters passing through Vancouver’s City Center and Waterfront stations will be invited to take a “Selfie Check” on the platforms for the next month, thanks to a new interactive outdoor advertising campaign from Lamar Advertising Company (Nasdaq: LAMR) and John Casablancas Institute (JCI). The private fashion and beauty educational institution is using out-of-home and selfie-driven social media posts to connect with prospective students at a time when more than one million selfies are taken around the world each day. The out-of-home campaign invites budding fashionistas and stylists to snap a selfie in the provided mirror and share the photo on social media using the hashtag #JCISelfieCheck. 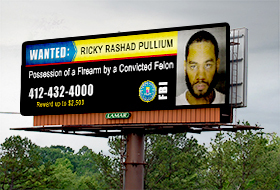 Two adjacent posters, designed by Spring Advertising, work together for the campaign. The poster on the left features a call-to-action inviting the consumer to “Selfie Yourself Into A Stunning Career”; the poster on the right, styled as a backstage greenroom makeup mirror, acts as the “Selfie Check” using a vinyl and polystyrene background with an acrylic mirror layered onto it. Selfies posted on social media with the designated hashtag #JCISelfieCheck are then submitted to JCI staff, serving as an application to the institution. The John Casablancas Institute “Selfie Check” campaign running on Lamar Advertising Company’s media space in Vancouver’s City Center and Waterfront stations. The posters connect JCI with potential students for a 6-week campaign on the platforms of Vancouver’s City Center and Waterfront stations in downtown Vancouver, BC. Sean Reilly, Lamar Advertising Company’s Chief Executive Officer, is scheduled to participate in a question and answer session on Tuesday, May 12, 2015 at 3:30 p.m. (ET) during the J.P. Morgan Global Technology, Media and Telecom Conference in Boston, MA.